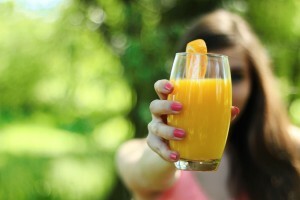 Fruit juices may not be as healthy as you thought. Safeguarding your children’s health is one of the major concerns for parents today. Giving your children the right food is key to ensuring they grow strong and healthy. It is so difficult knowing which foodstuffs are best, especially when there is so much conflicting information out there. Often advertisers play on parental health concerns with misleading claims about the nutritional value of their products. In other cases there are general misconceptions about a certain food and its supposed health benefits. Either way, parents need to separate fact from the advertising spin and the misinformation. Below you will find 5 examples of supposedly healthy food be wary of buying for your kids. You would think that cereal that has been fortified with extra vitamins and minerals would be a safe choice for your children’s health. Wrong. An American study concluded that fortified cereals may lead to a vitamin overdose amongst children. This is because recommended daily allowances of vitamins are based on a fully grown adult’s needs not a child’s. Fortified cereals could actually end up harming a child’s health. So, yes you can have too much of a good thing. High salt intake can make a child more prone to hypertension, osteoporosis, asthma, and obesity. One would assume that baby foods would be specially formulated to a child’s nutritional needs but unfortunately not. A recent US study found that 72% exceed recommended salt level. When selecting a baby food be sure to check the sodium levels as baby’s kidneys are not mature enough to process salt effectively. For parents concerned about their children getting one of their five a day recommended portion of fruit and vegetables, juices offer a convenient solution. Fruit juices may be a good source of vitamins and minerals but they may contain added sugar which is responsible for weight gain and tooth decay. Furthermore fruit juices have less fibre and are less nutritious than regular fruit. Eating a piece of fruit rather than consuming it in juice form is by far the most nutritious and healthier option. Refined wheat flour which is the ingredient in most packaged pasta is stripped of most nutrients and fibre. While the salt levels in many packaged pasta can also exceed the recommended daily allowance of salt for children. Instead of reaching for pre-made pasta in a packet, opt for whole wheat pasta which can be cooked in a batch and reheated throughout the week for you convenience. Yoghurt is a great source of calcium and natural healthy bacteria. The only problem is that kid’s fruit flavoured yoghurt tend to be loaded with sugar. This is in part to do with masking the sour taste but also because kids love sugar, and manufacturers know this. But how do you get the health benefits of yoghurt without the downsides? One solution is to sweeten natural yoghurt with dried or frozen fruit. Not only will this make it more palatable to your kid’s sweet tooth, it will also help them get additional nutrients from the fruit. While the above foods are best avoided, these are the sorts of foods that children need to regularly eat: Greek yoghurt to strengthen immunity, cinnamon to regulate blood sugar, tofu for a source of lean protein, and oatmeal for a source of slow release energy. Which healthy foods do you feed your kids and which foods do you ban?